There was a moment during the summer when Lars Eller, sitting comfortably by himself at his parents’ cottage in Denmark, looked out at his surroundings and then smiled. It was good to be home. After a memorable 2012-13 regular season with the Montreal Canadiens, Eller, who had 30 points in 46 games, soon made hockey headlines for much different reasons. On May 2, just six days before he turned 24, the forward suffered a concussion, along with other injuries, after a massive hit during a playoff game. Eller eventually returned to Europe, a chance to “re-energize and reload” in the company of his family, friends and familiar surroundings. “You realize, especially when you are back home, how much you appreciate the simple things in life,” Eller told NHLPA.com. “One day when I was at my parents’ cottage, I remember a big smile coming over my face. 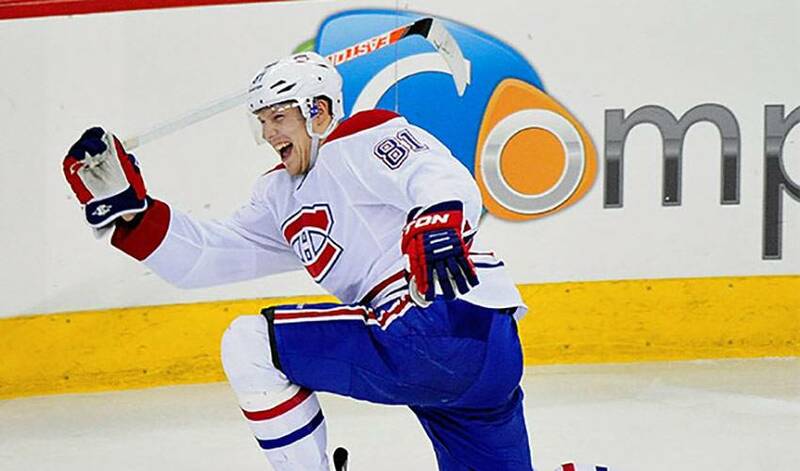 It was the perfect tonic for the Canadiens’ up and coming star. Upon his recent return to Montreal, Eller was greeted by throngs of local media, eager to get an update on his health. They weren’t the only ones interested in his story. There’s no need to question if Eller is motivated. It’s more than enough to put another big smile on Lars Eller’s face.